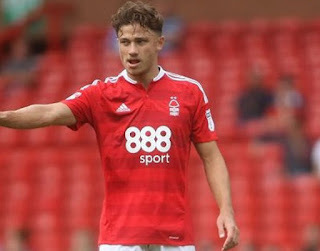 The rumours this week are that numerous Premiership clubs are eyeing the young Forest talent with views to swopping in. Fresh from the Burke sale in the summer it seems the world thinks its open season on our players. Matty Cash is wanted by Chelsea, Everton and Stoke want Joe Worrall, and Watford and Swansea want man of the moment Ben Osborn. And that for one reason is a good thing. If clubs from a higher division want to take them off our hands it clearly thinks he players are too good, or have the potential to be good for this level. The academy is in good health. The squad is being swelled by young talent from the academy in greater numbers we have seen since the Paul Hart days. For Jenas read Cash, for Reid read Osborn, Dawson read Worrall. Yes there are the usual worries. In the past 3 years we have sold Bamford, Darlow, Lascelles, and Burke from the youth team. McGugan left eventually for free. So the best of our young talent does get cherry picked away eventually. Tempting fate by inviting interest from clubs for our unpolished diamonds may well mean another generation of young talent doesn’t prosper at Forest but leaves. Think of the team we could have from graduates of the last few years alone. Darlow, Lascelles, Worrall, Iacovitti, Cash, Osborn, McGugan, Burke, Bamford. Thats the core of a handy team. That golden era of 11-12 years ago all eventually went elsewhere to realise that potential. But in most cases we got to see them perform (aside from Jenas) before decamping. We barely saw Burke break though before he had gone. 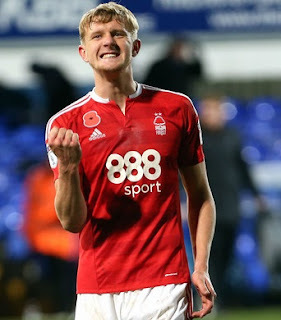 Cash hasn’t even played as many games as I can count on my fingers before he’s being linked with a departure, Worrall even less. And there are more to come, Brereton, Erlandsson, Yates, Ahmedhodzic, are all names that should break though into the first team. And like that golden age, there other lesser names who could become squad players, capable stand ins like the days of Doig, Roche, Bopp and co who never made it, but could happily play a game or two. The problem with them was when we came to have to rely on them as the prized assets were gone, rather than use them sparingly. I won’t immediately be angry these clubs want our players. They just need their heads being screwed on and keeping happy. Make sure they want to stay and grow. The Burke deal was a player not feeling wanted (as well as his paying apparently jumping 2000%) but I’m sure Burke would have stayed longer. Fear not yet fans. John Jay Moores might well put trust in youth. And we may not sell off all the assets for the first large pay day we get offered. Or if we do, at least put some bloody decent sell on clauses in!!! !